One Step Ahead has an amazing selection of toys for your child on your list! Their mission: to save parents time, money, and frustration by bringing you the best of the vast children's market. They do the "pre-shopping" for you, researching, comparing, and testing thousands of products so you can select only the top performers. When they can't find products that meet our high standards we create them ourselves. Now when you do your kettlebell workout, your child can follow along. Our .5 lb. 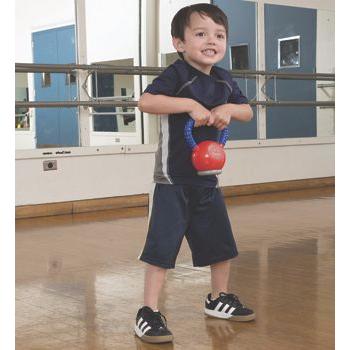 toy kettlebell is light enough for kids to swing and lift safely, while encouraging a love of fitness. Intended for play; draws kids away from heavy adult weights, because they have one of their own. 3 1/2" in diameter x 7 1/2"H. For ages 3 years and up. Jungle gym joy in a snap! 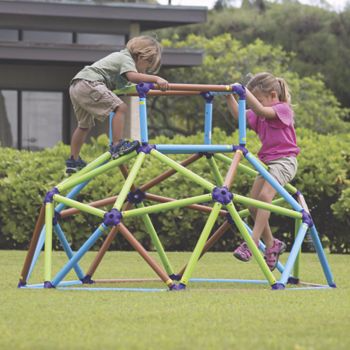 Get all the climbing fun of metal monkey bars, at a fraction of the cost, weight, and assembly time. 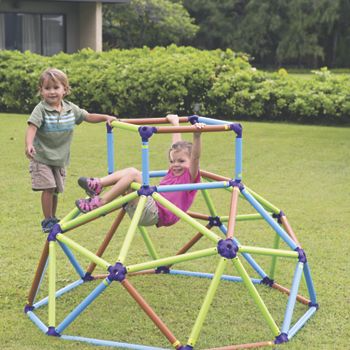 You can set up our sturdy, lightweight climbing dome in just 30 minutes; others take up to 2 hours assembly. Dissembles easily, too, thanks to its innovative connection system. Made of durable, UV resistant plastic. 64"L x 64"W x 42"H. For ages 3 and up. Holds 2 kids, up to 150 lbs. total. You can purchase these toys and many more from the One Step Ahead website.